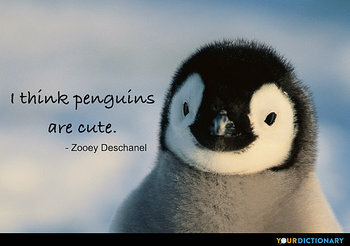 The word cute refers to anything that's attractive in a lively, wholesome, or dainty way. It's often meant in a complimentary way, but YourDictionary’s collection of cute quotes illustrates how the term can be interpreted in conflicting ways, from cuddly to condescending. 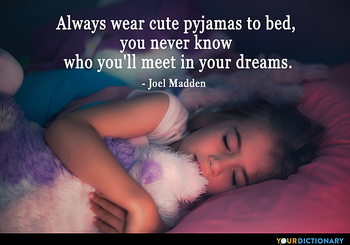 Always wear cute pyjamas to bed, you never know who you'll meet in your dreams. 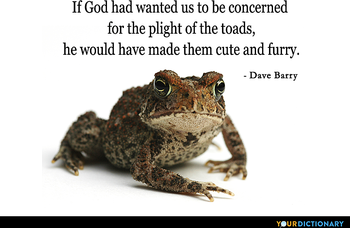 Cute is a word often used to describe animals and small children, so it can feel a little demeaning when it's applied to a woman's appearance. Actress Ashley Tisdale is often described as cute, but wants her fans to know there's more to her as a person than her looks. "People see me as cute, but I'm so much more than that," she said. Actress Natalie Portman, a former dancer and child model wants fans to know that inner beauty matters just as much as your physical attributes. In her opinion, a pleasant personality, a generous spirit, and a loving heart matter much more than your clothes or makeup. "Cute is when a person's personality shines through their looks. Like in the way they walk, every time you see them you just want to run up and hug them," she said. Of course, some people choose to forgo the cute label all together. They strive to stay true to themselves, rejecting conventional labels and beauty standards. AC/DC guitarist Angus Young encourages you to embrace qualities such as tenacity, protectiveness, and loyalty to others. "There are all sorts of cute puppy dogs, but it doesn't stop people from going out and buying Dobermans," he said.